Drive thru to drop off food and visit Redding Radio and firefighters from the Redding Fire Department. Food donations will go to Shasta Senior Nutrition and other agencies who will distribute to elders in need. 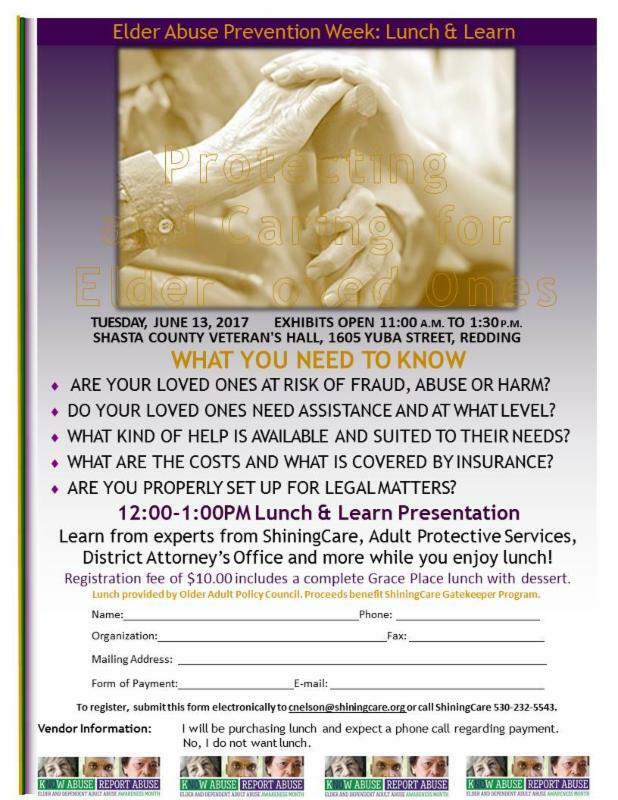 Donate your change or buy a goody to support ShiningCare’s Gatekeeper Program, helping at-risk elders in Shasta County. 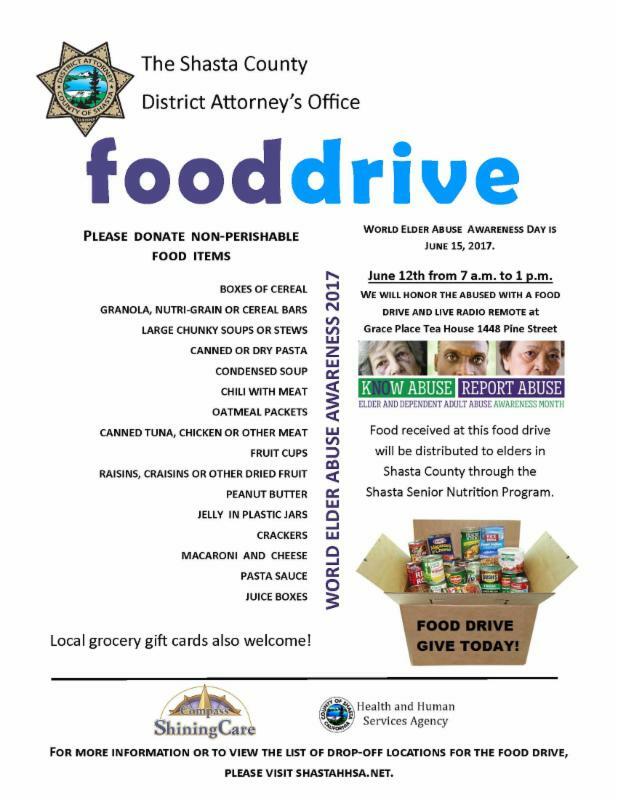 Food Drive Coordinated by Shasta County District Attorney’s Office. 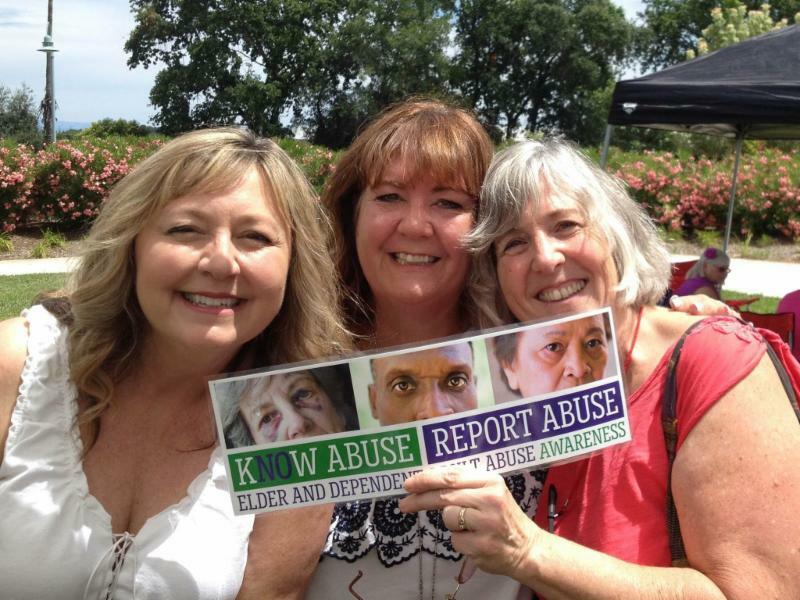 Those concerned about an elder loved one now, or the near future, will have an opportunity to learn pertinent information to help protect them and to maintain the highest level of health and safety within the community setting. 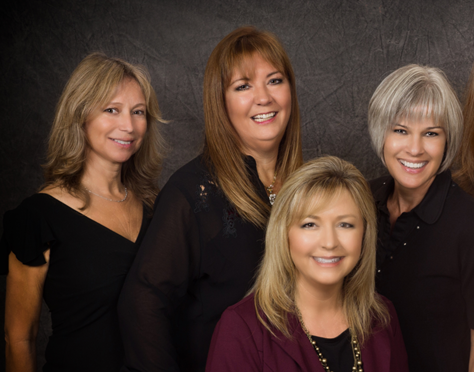 Enjoy a good lunch while you learn from ShiningCare's Aging Life Care professionals about how to assess risk, options for care planning and much more. 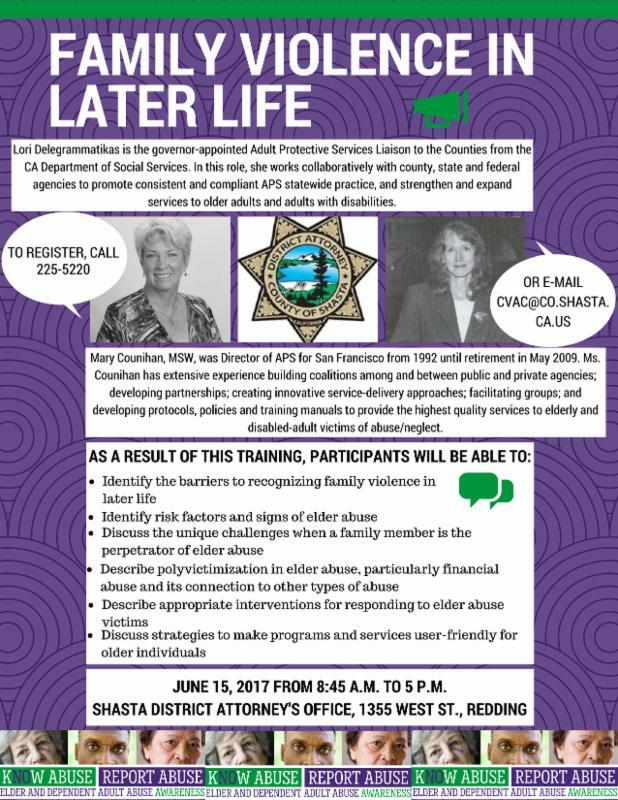 Co-presenters include Shasta County Adult Protective Services. 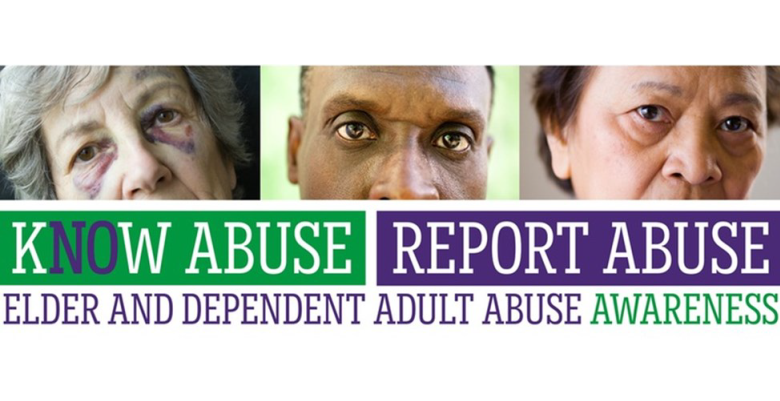 Attendees can visit resource information booths and consult with agency representatives. The presentation will be geared toward family members and working professionals who are caring for their elder loved ones or anticipating the need to care for their elders. Lunch will be included in the affordable registration price of $10 per person. Download and print the flier and registration form to share with others! Participate in the challenge and enjoy a cup of free coffee or ice tea from Grace Place. Play the“Spin to Win” wheel for a chance to get fun prizes. Hang a poster at your business and/or take a poster to be hung at a business you frequent.